If you'd told me a week ago that I would be stalking the ATG Tickets website on the hunt for pantomime tickets, I would have honestly laughed. 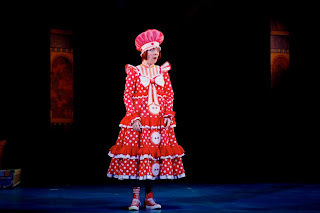 You see a week ago I was certain that I didn't like pantomimes well I was wrong. 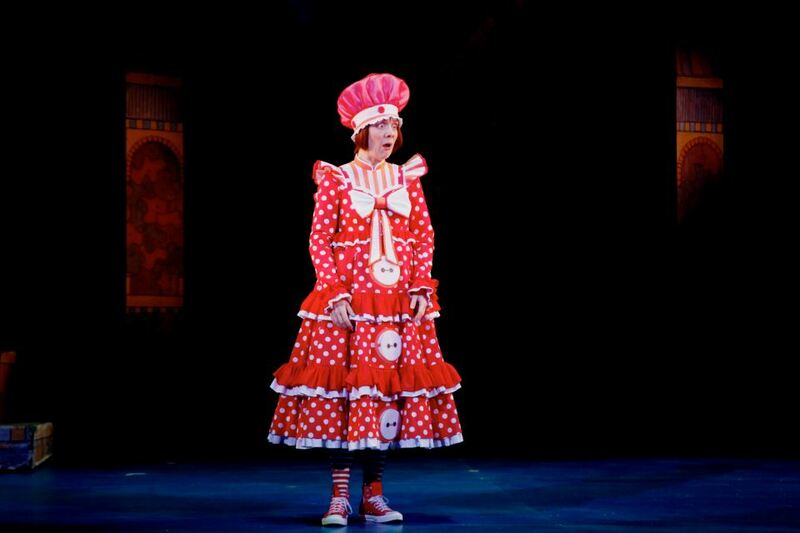 It turns out that I thought I didn't like pantomimes because I'd never seen a King's Theatre pantomime, well not since 1990 when there was a strike so we all ended up at Home Alone instead so that doesn't count. Pantomime is a popular selling stalwart of the King's Theatre's annual programme and now I know why. 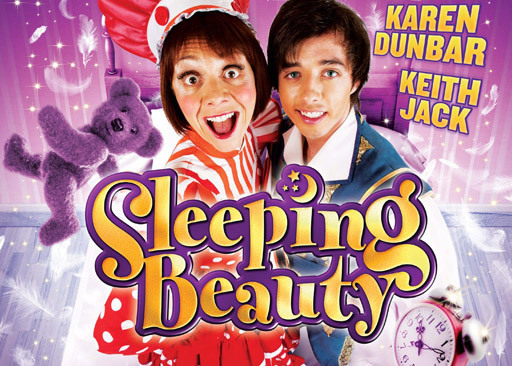 Sleeping Beauty embraces the traditional standards of the classic pantomimes and does it beautifully. In doing so it creates a wonderful production that's hilarious, pays homage to current affairs and has the audience dancing and singing at the top of their voices when the cloot drops. Oh, and they still throw sweeties to the audience - what more do you want for the ideal family treat?! Karen Dunbar is simply incredible as Nanny, she is perfect in the part and particularly shines because of the lack of the fourth wall. Her comedic timing makes her scene-stealing and her expressions are hilarious. How the rest of the cast manage to keep a straight face night after night is anyone's guess. As Henchman Hector, Tony Roper captures the audience's imagination while looking for his lost baby crow Corky, or COOOOOOOOORKYYYYYYYYYYY as the children in the audience shout, and is so lovable he easily embodies the role of misunderstood baddie. Roper and Dunbar are comic legends in their own right but on stage together they are a tour de force, particularly when Nanny has poor Hector hopping on one leg as she hangs onto his ankle. As the Wicked Fairy Carabosse, Clare Grogan laps up every boo and hiss that the audience throw her way. Grogan makes a particularly glamourous villain which is a little disarming at first but the audience were soon marking her every move with loud booing. She cut a striking figure in her sparkling outfit during 'Happy Birthday' which delighted the older audience members but I imagine the humour passed most of the children by. I'm sure the highlight for some of the female audience was Keith Jack shirtless imprisoned in Carabosse's lair, there was more than a few whistles! 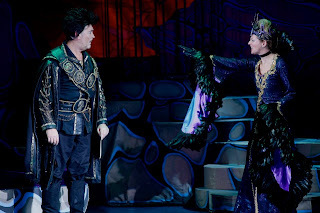 Steven McNicoll and Kath Howden as the King and Queen also make a delightful double act reminiscent of the Baron and Baronness in Chitty, Chitty Bang Bang. This whole production is a shining example of how pantomimes should be and if there's any last minute Christmas shoppers reading this I suggest tickets for this will make the perfect festive treat for any family. From the very beginning until the cloot drops and the audience are competing against each other in the sing-off this show sparkles. Make sure you don't get caught napping and head to the King's before Sleeping Beauty's 100 years are up on 8th January. Tickets bought in person at the theatre box office do not carry a booking fee.